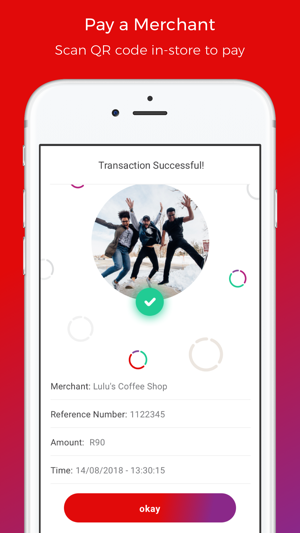 Send money as easily as sending a text message. 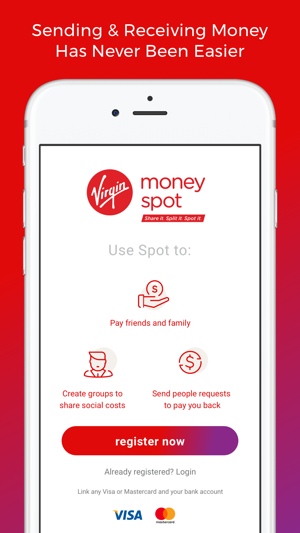 Virgin Money Spot lets you send and request cash using your Spot Wallet in an instant. 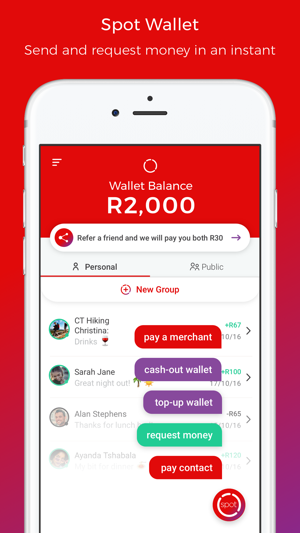 There are no monthly subscription fees and no transaction fees. It’s simple, safe and social. Spot your friends for that meal you shared, the drinks tab they picked up, that bet you lost, or your share of the house supplies. Cash Back Partners – Get rewarded with even more deals. We’ve enhanced our “Cash Back Partners” section to include more detailed information about our deals, including the stores closest to you at any time. 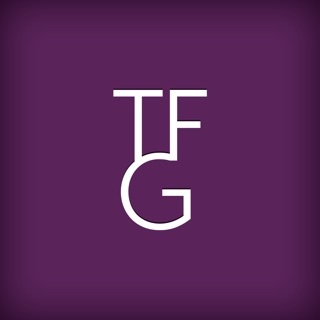 Check the page regularly to see where you can spend and get rewarded. 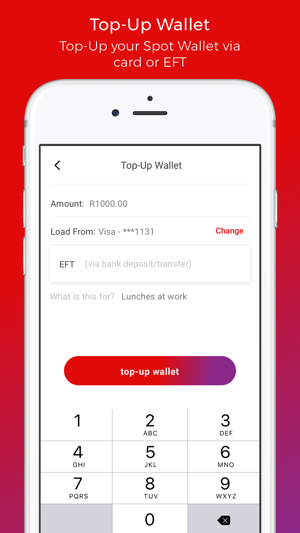 As with all new releases, we’ve enhanced the app design to improve speed, efficiency and security. We’d love to hear from you. Use our in-app Support centre to send us your feedback. 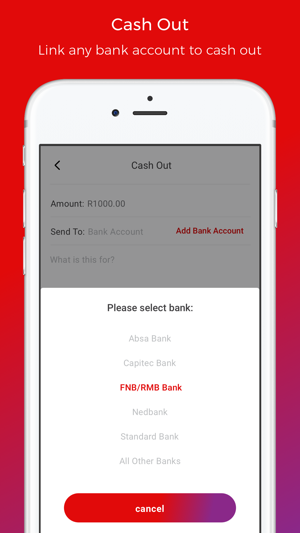 About time there was a way to pay my friends without worrying about bank details. The app works great, easy to sign up and the money has been showing up in my account after two days. Hopefully cash is a thing of the past once all my friends get this. The application doesn’t allow you to login in, it takes you to a number verification page and then asks you to register. Not log in.